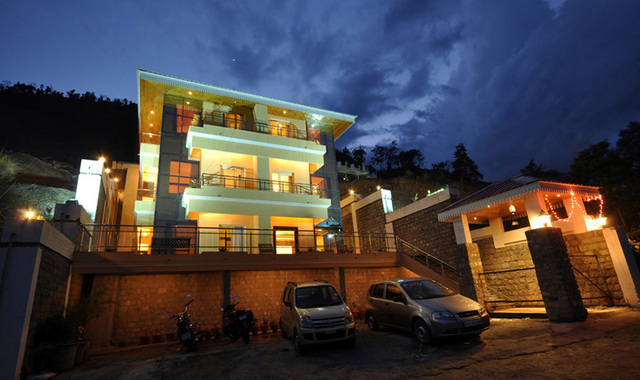 V Resorts Monolith Bheemtal is a classic property with stylish interiors and exteriors. 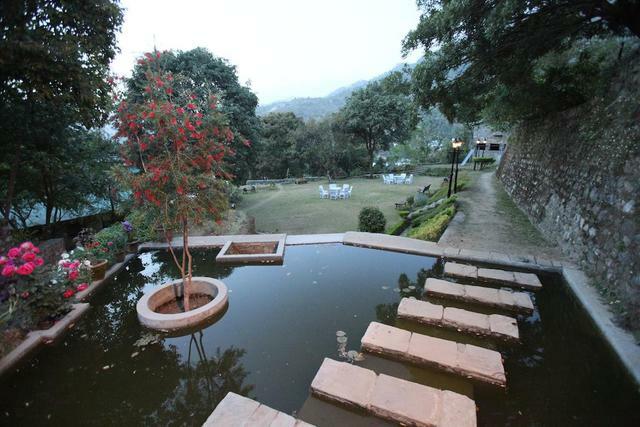 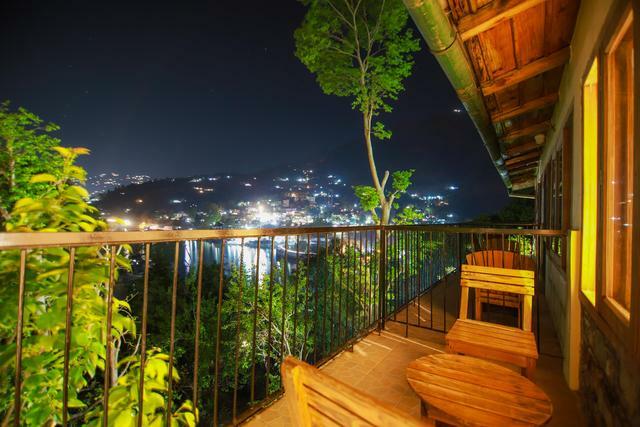 This property is known for its picturesque beauty with stunning views of Bhimtal Lake. 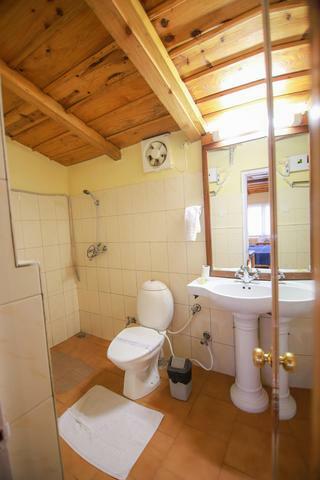 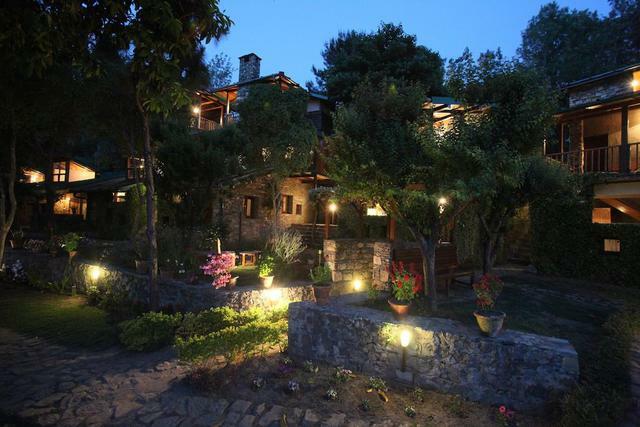 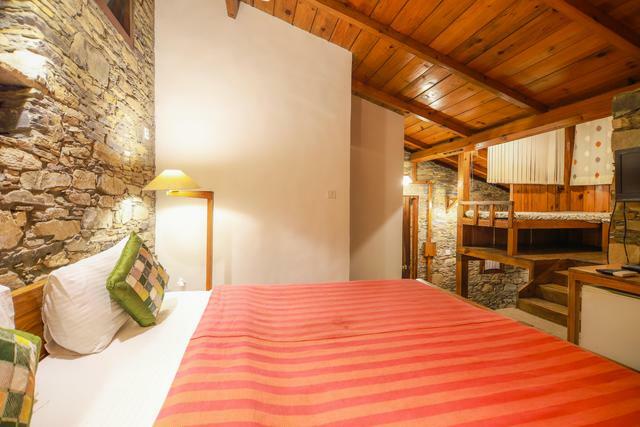 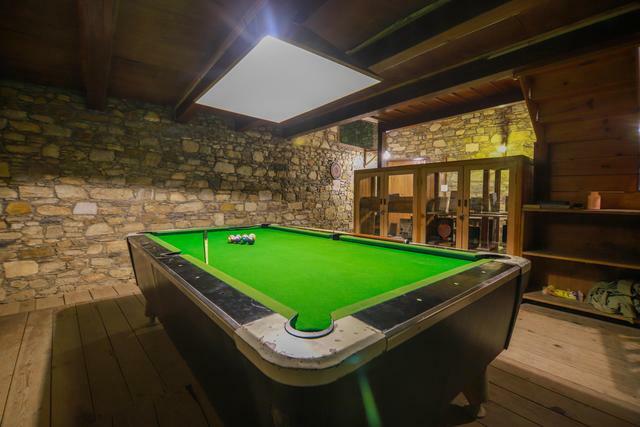 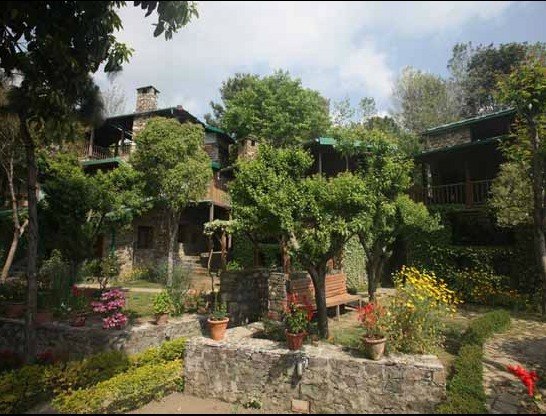 It offers elegant accommodation with its lovely cottages and rooms. 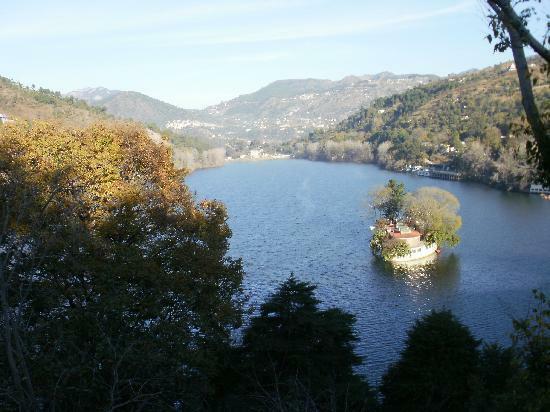 Travelers can enjoy nature's walk, bird watching, angling, cycling and boating in Bhimtal Lake. 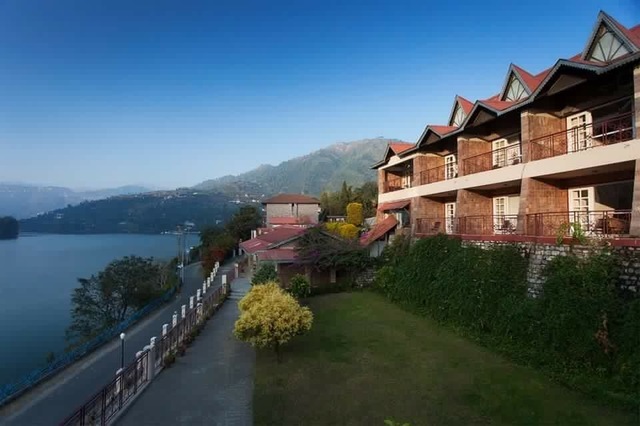 This resort is an ideal place for all kind of travelers and it offers a plush stay with its exclusive services like tremendous dining options, swimming pool and amphitheatre. 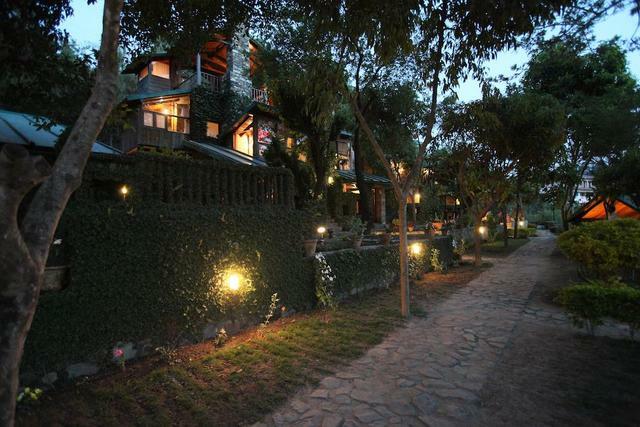 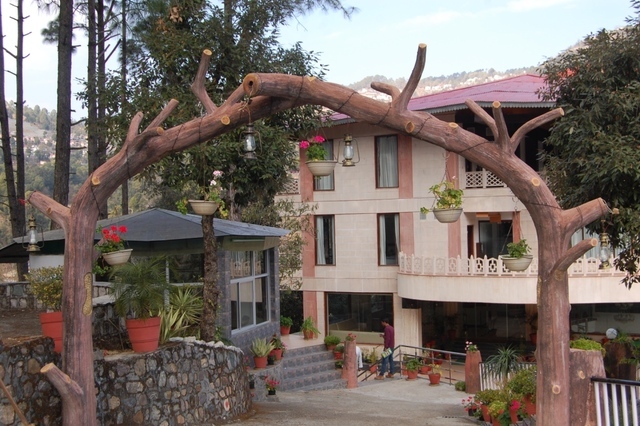 This resort has earned Indian Architecture Award for year 2001 for its unfathomable charm. 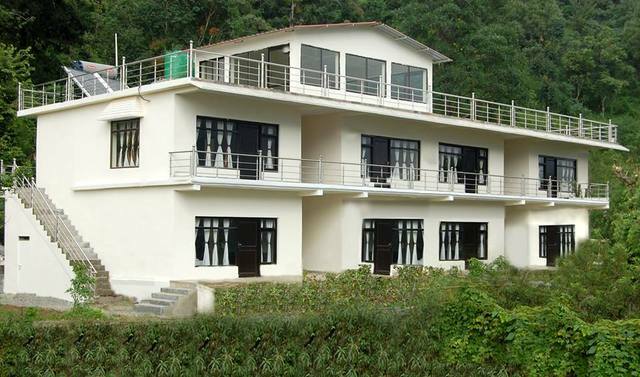 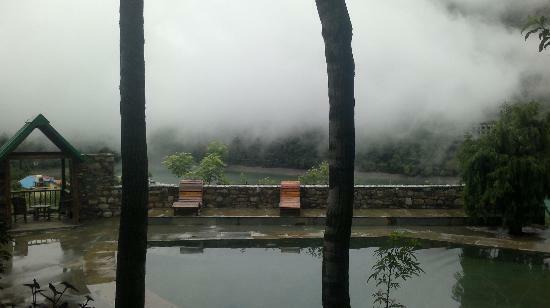 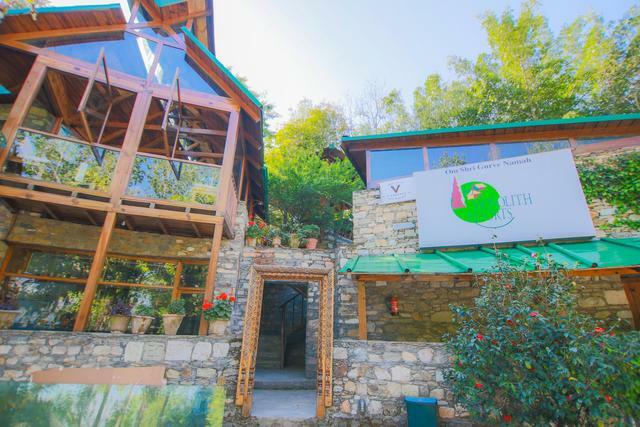 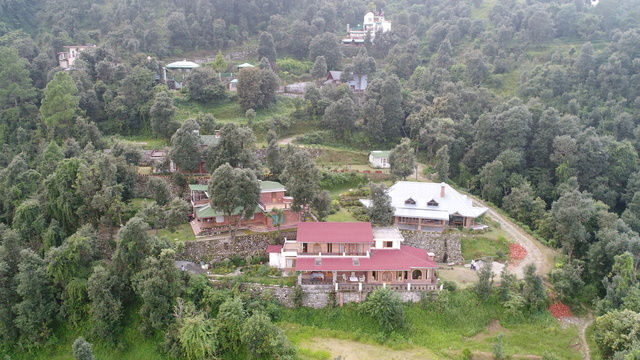 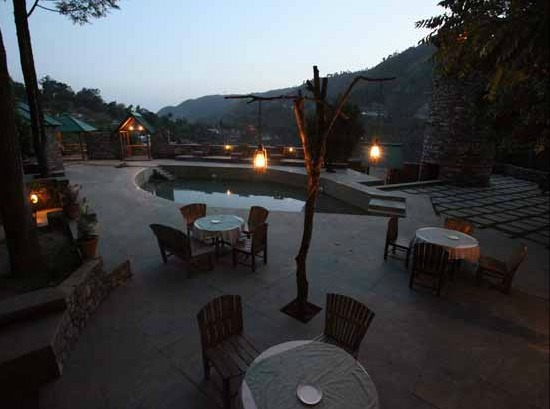 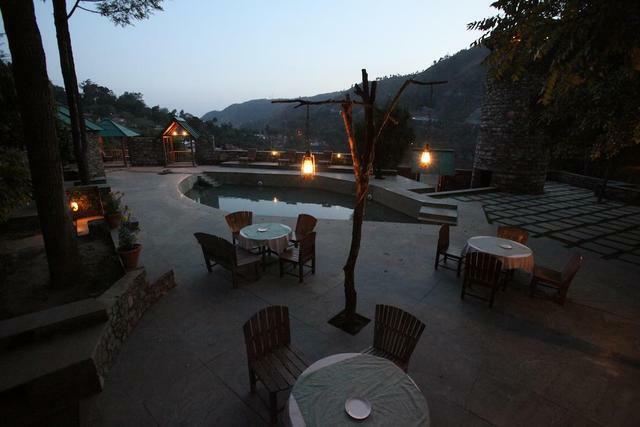 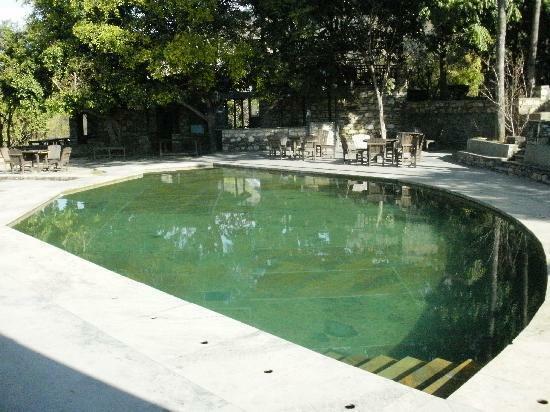 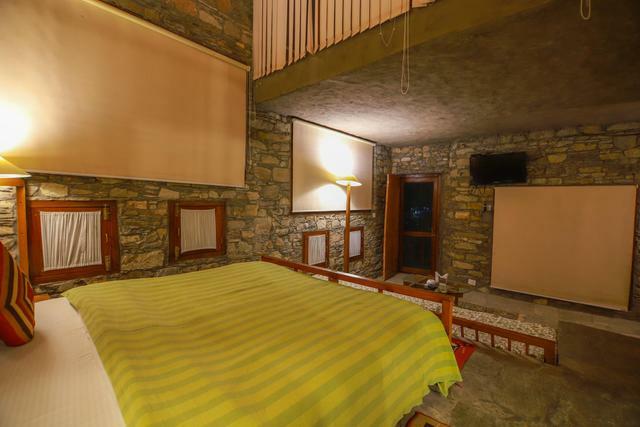 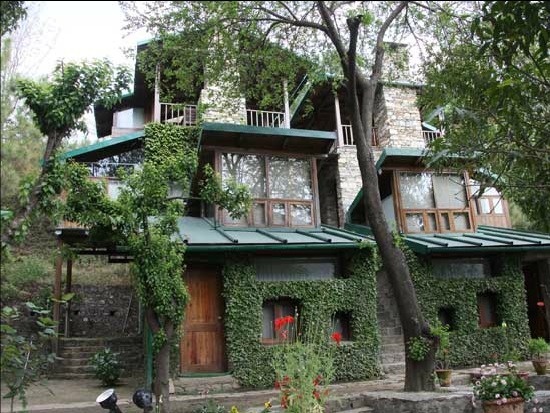 Monolith Resort is situated at a strategic location at Mandir Marg in Bhimtal. 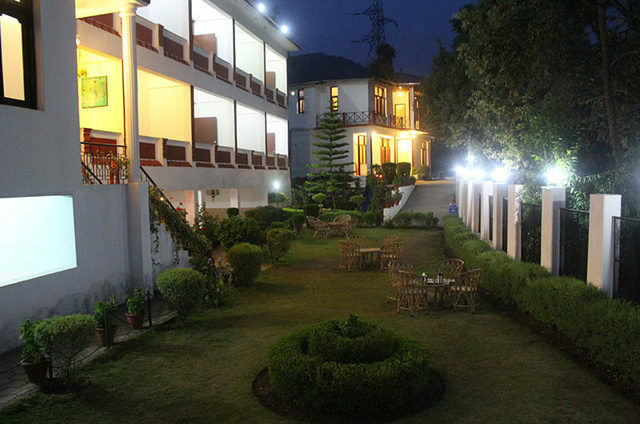 It is surrounded by lush greenery. 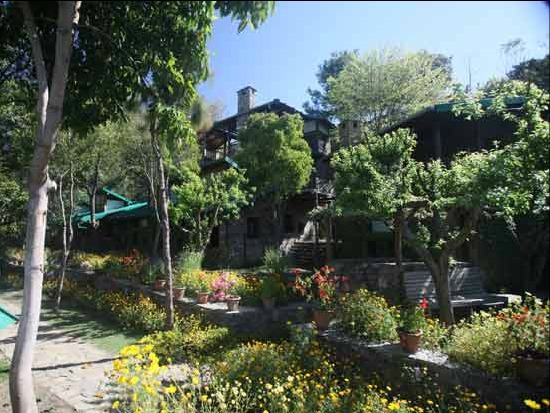 Some of the sightseeing places are Butterfly Museum (1.2 km), Bharat Ratna Pt. 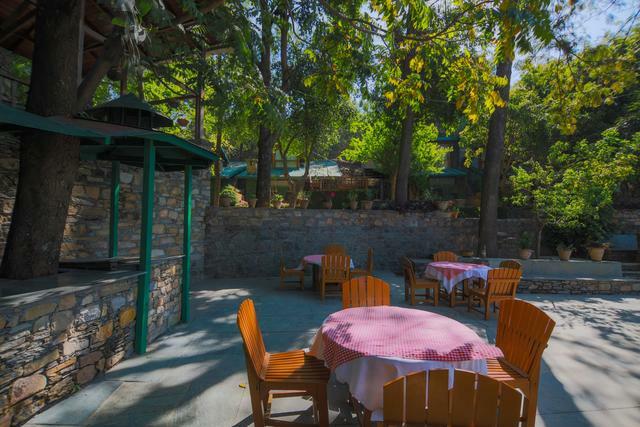 Govind Ballabh Pant High Altitude Zoo (18.3 km), Jama Masjid Mosque (20.7 km), Eco Cave Garden Kmvn (22.3 km), Naina Peak (28.4 km), Boat Stand Tallital (18.8 km), Lake View Point (19.3 km), Eco Cave Garden (22.3 km), Governor's House (21.9 km), Naini Lake (22.2 km) and Naina Devi Temple (20.6 km). 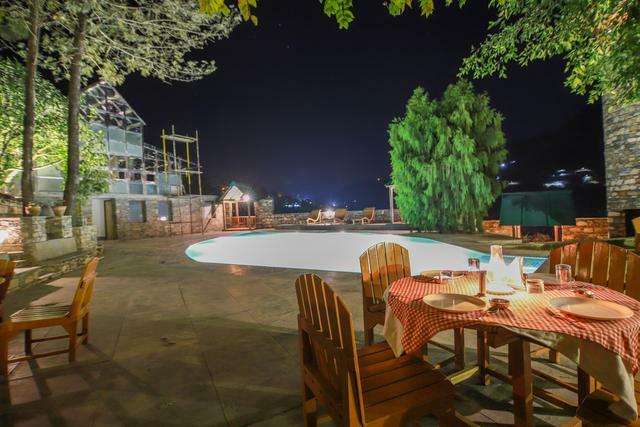 An astonishing range of services include multi cuisine dining, bar-be-que, coffee shop, swimming pool, business centre, amphitheatre, conference & banquet halls, kid's playground, pool table and library. 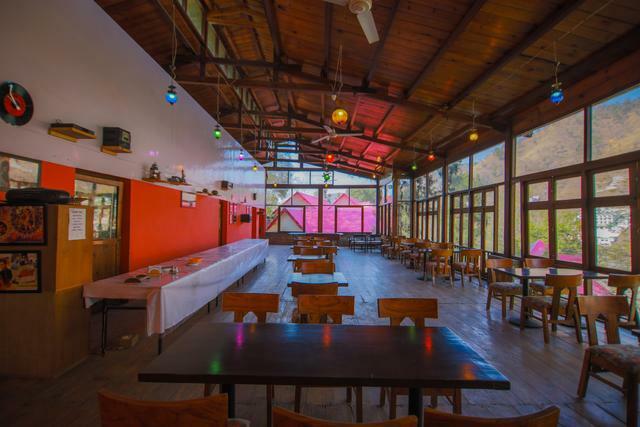 This property offers various dining options like a multi cuisine dining named 'Rasiya Restaurant' serving Indian, Chinese and Continental cuisines. 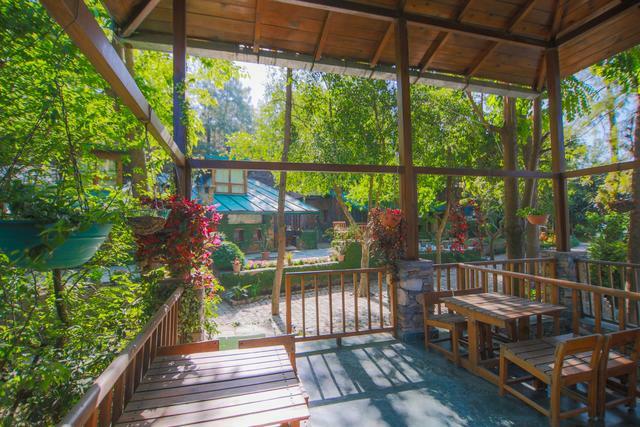 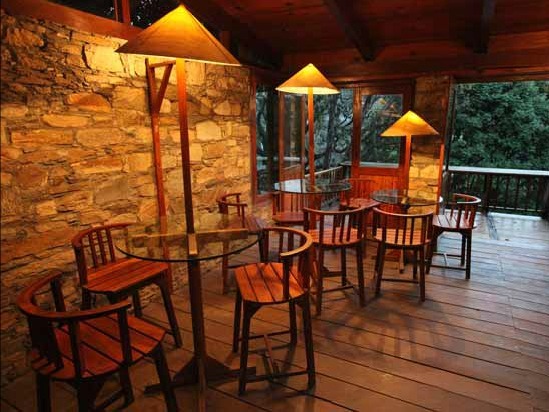 Another is bar-be-que and coffee shop where also guests can treat their taste buds. 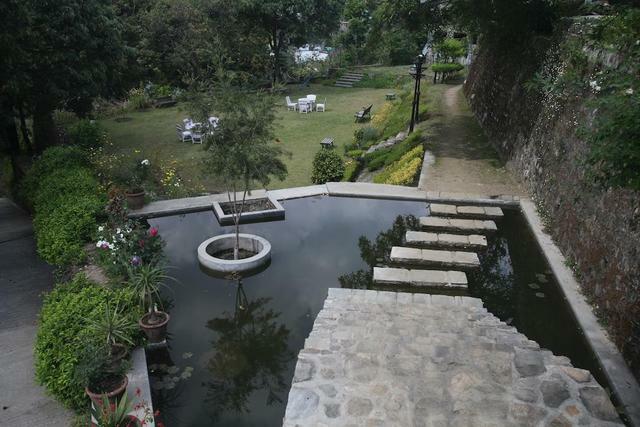 Overlooking the lake, there is a swimming pool surrounded by shady trees. 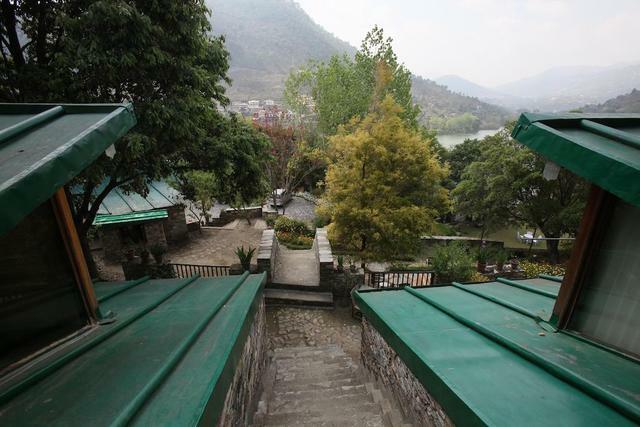 An amphitheatre is available where cultural programs are held. 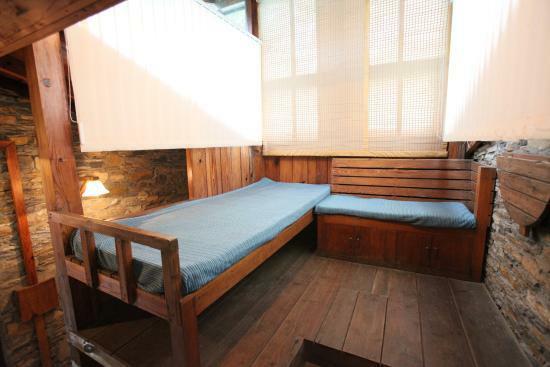 One can spend one's spare time at the library. 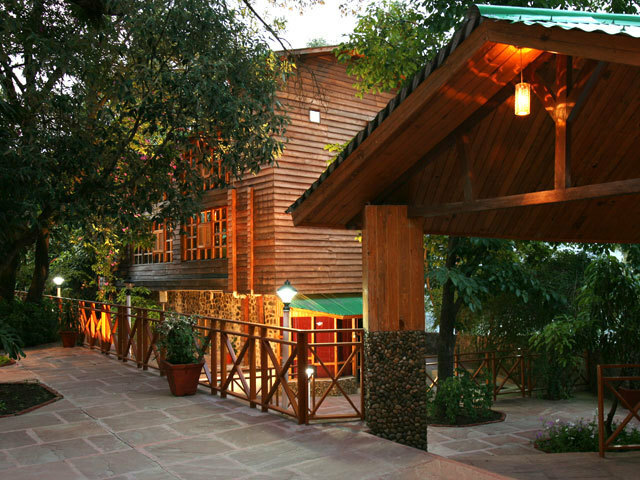 The resort has a kid's playground where children can play and have fun. 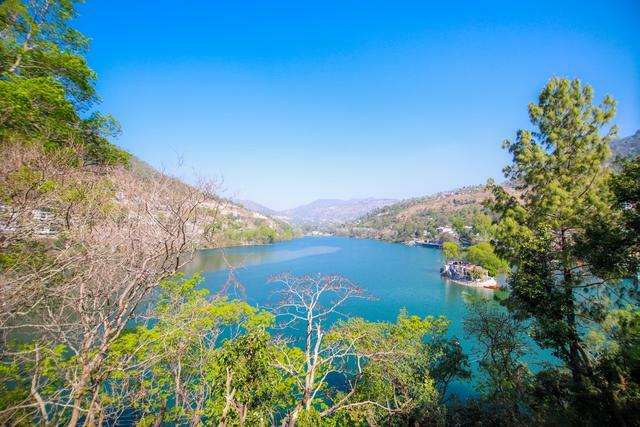 Additional recreational facilities include pool table, nature walks, bird watching, angling, cycling and boating in Bhimtal Lake. 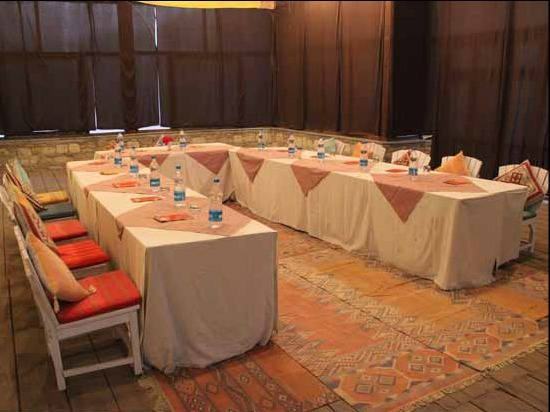 This property offers conference and banquet halls for organizing corporate meetings, conferences, weddings, parties etc. 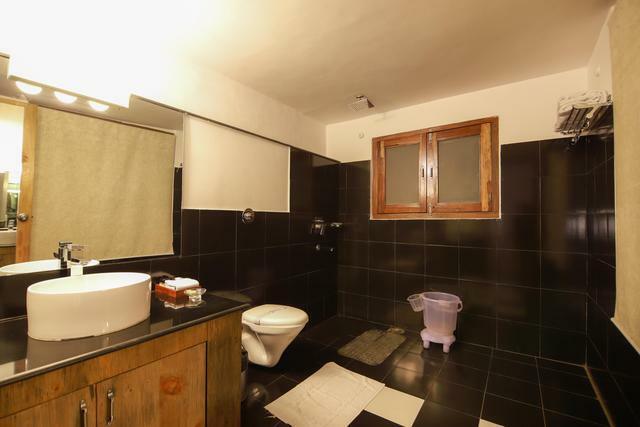 A business centre is offered with state of the art facilities. 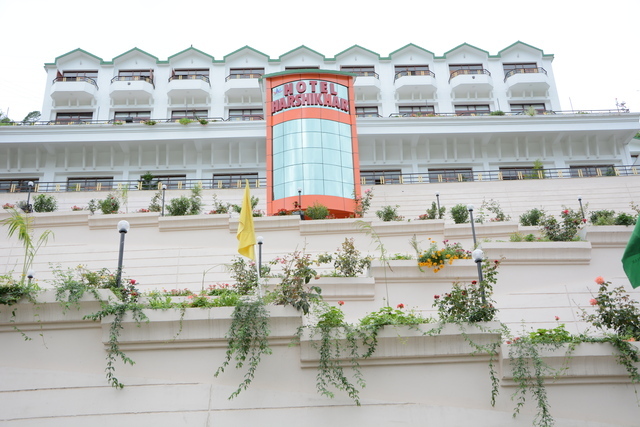 Other additional services include free parking, room service, forex services and travel desk. 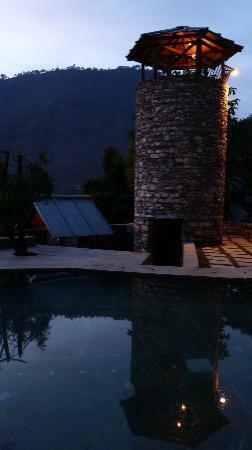 Monolith Resort offers finest accommodation with 16 rooms in the categories of Independent Luxury cottages, Independent cottages and Luxury Room. 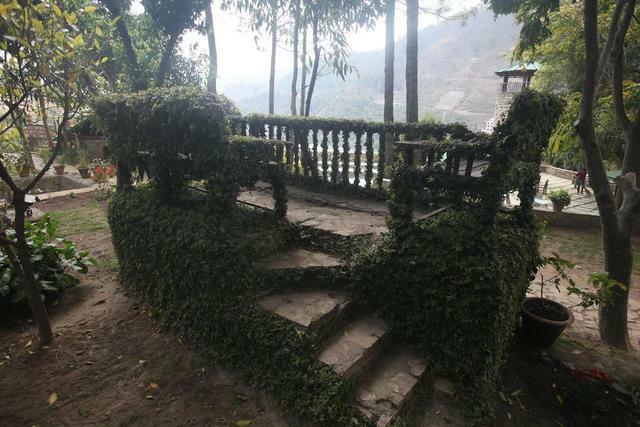 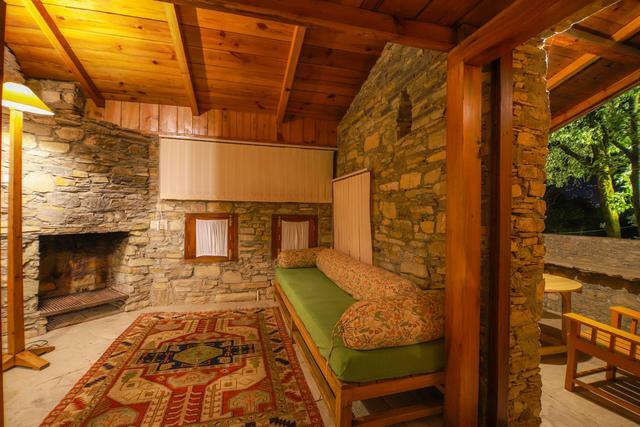 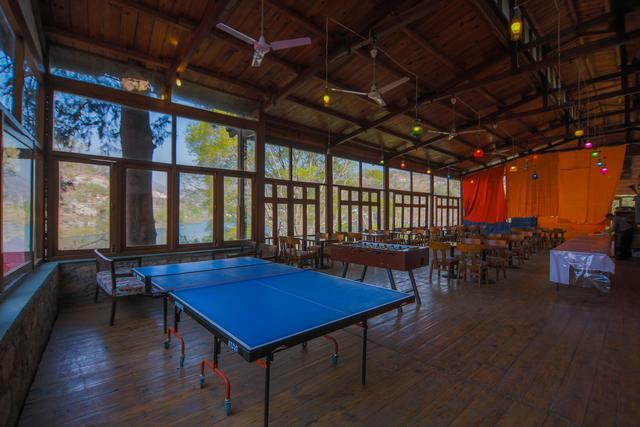 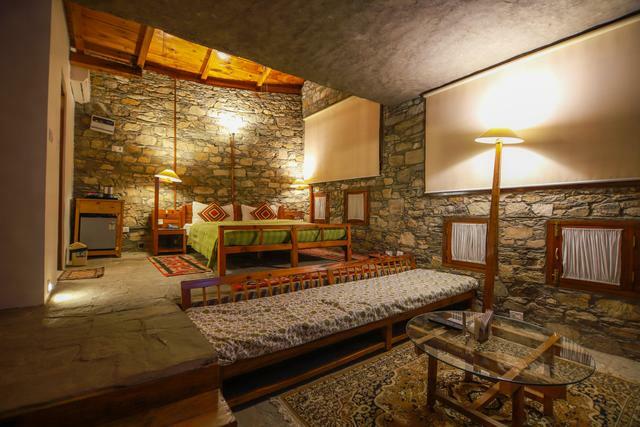 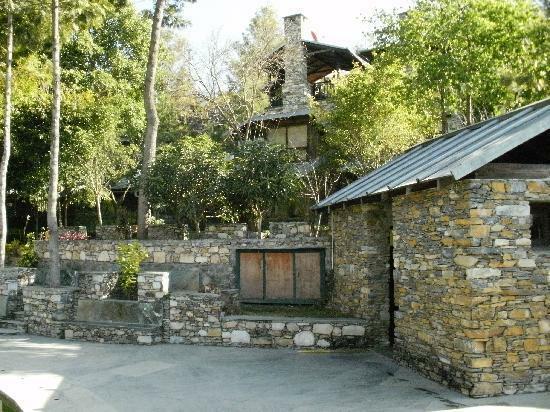 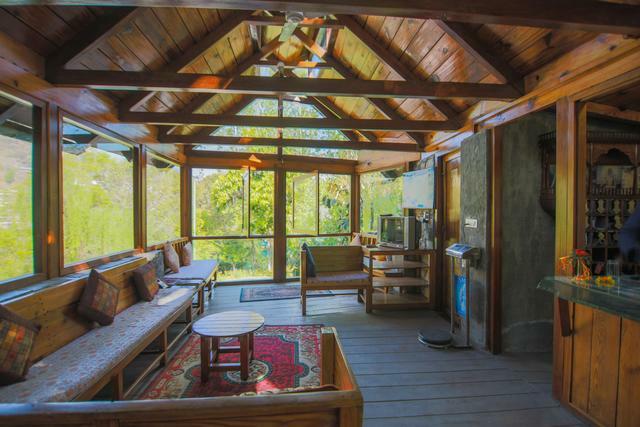 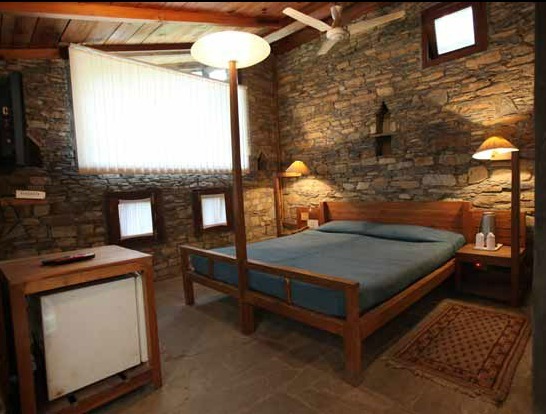 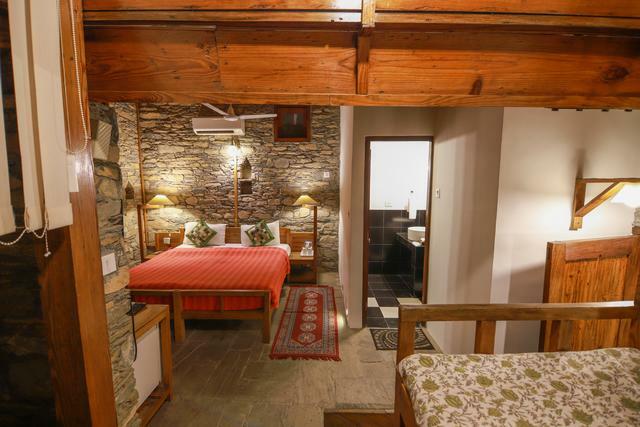 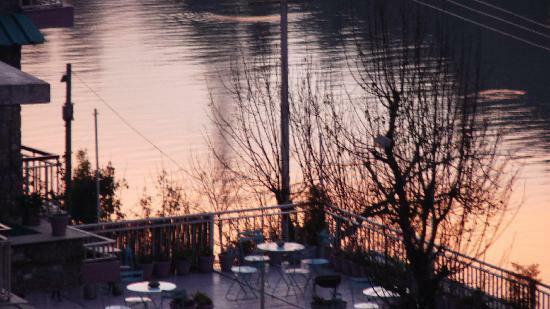 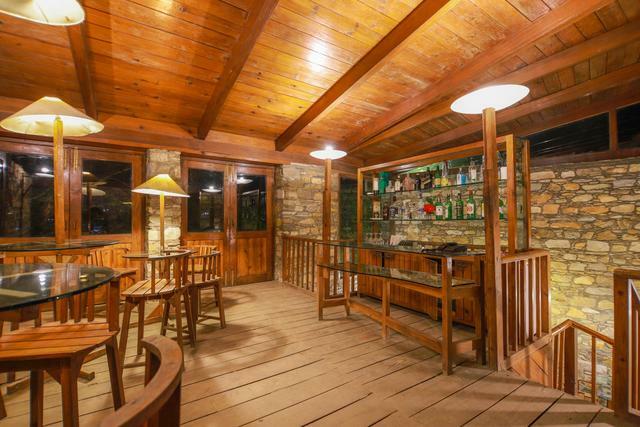 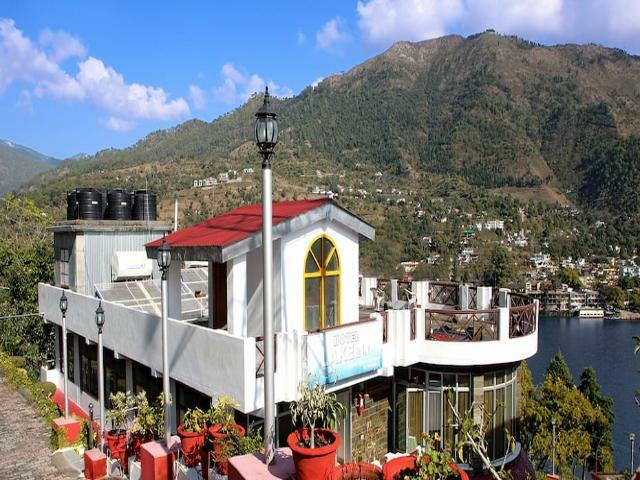 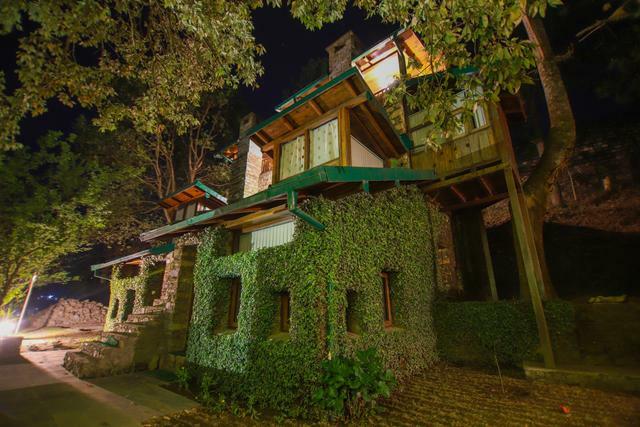 Each cottage and room offer splendid views of Bhimtal Lake. 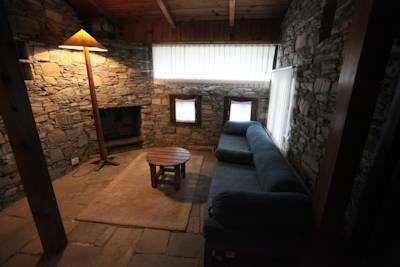 Independent Luxury cottages feature separate living area, stone walls, fire place, private terrace, en suite washroom(appointed with geyser, shower & bath amenities) and bedroom (appointed with 32"LCD TV, mini fridge and telephone). 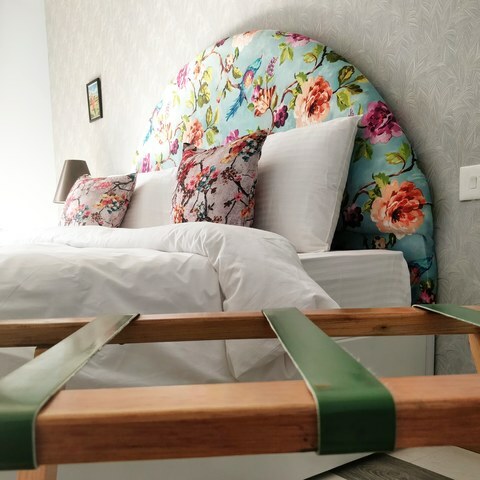 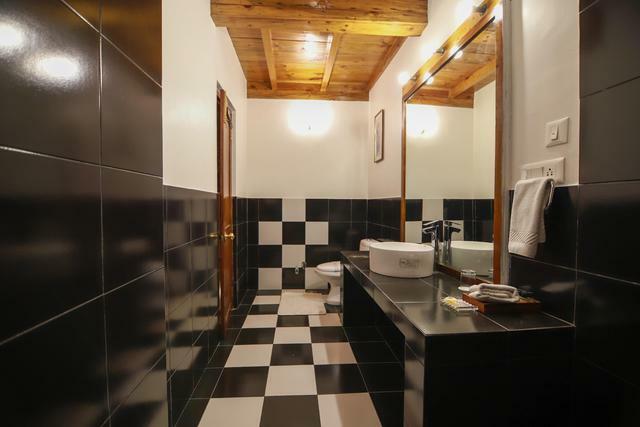 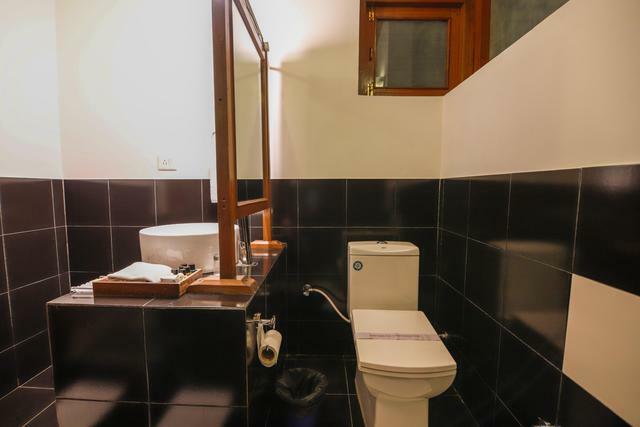 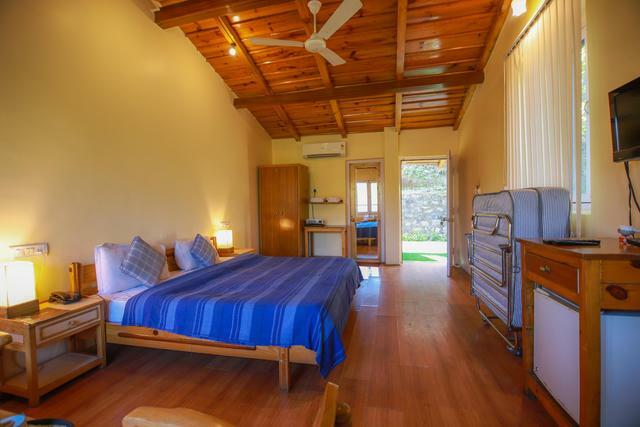 Independent cottages feature separate seating area covered with verdant vibes and are appointed with 22"LCD TV, telephone, attached washroom and mini fridge. 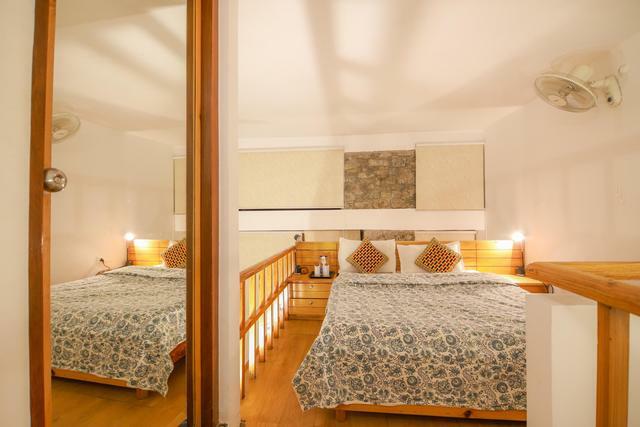 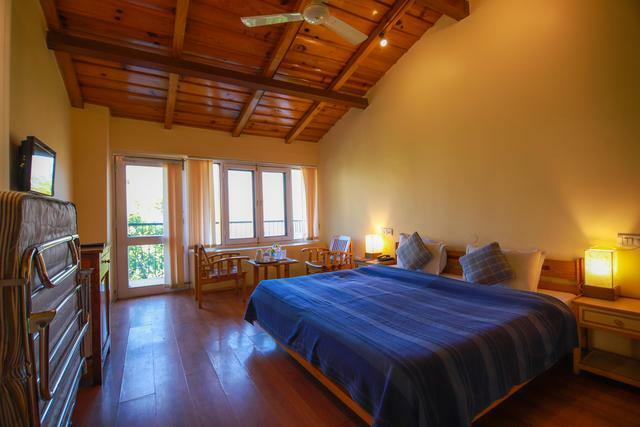 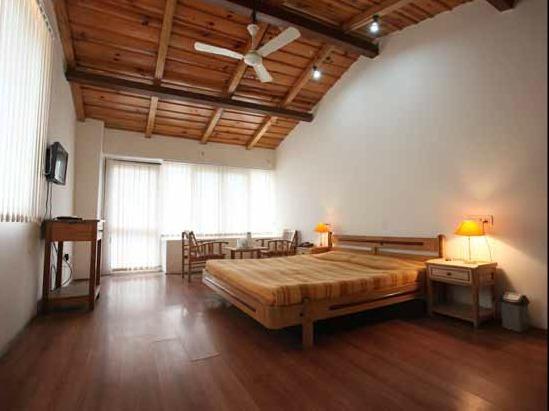 Luxury Rooms have contemporary structure with wooden flooring. 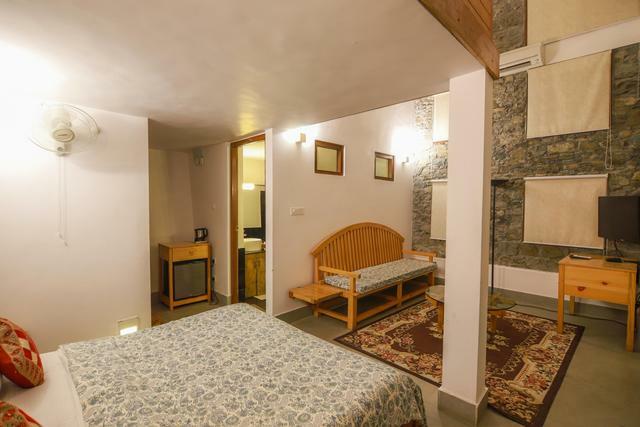 They are appointed with 22"LCD TV, wardrobe, attached washroom and telephone.